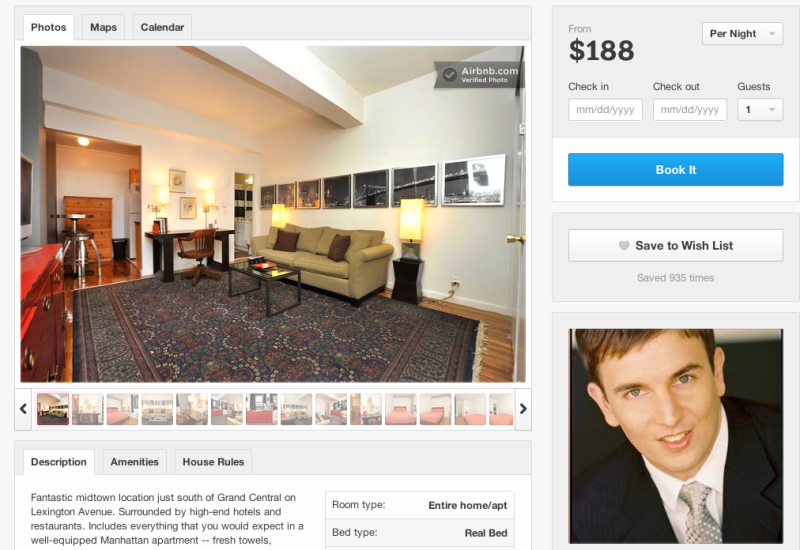 If you rent a room on Airbnb, odds are you know what your host looks like—their picture is featured front and center. A new report out of Harvard Business School crunched the data, and says this is totally fine, as long as you're not black. It's hard to pin down exactly, but the educated presumption is that black Airbnb hosts have to lower their prices in order to compete with non-black Airbnb users, simply because Airbnb users would prefer to not rent from a black host. The study doubts Airbnb is subject to any illegal discrimination liability, because otherwise it wouldn't show all those black and white faces so prominently. "We are committed to making Airbnb the most open, trusted, diverse, transparent community in the world and our Terms of Service prohibit content that discriminates. The data in this report is nearly two years old and is from only one of the more than 35,000 cities where Airbnb hosts welcome guests into their homes. Additionally, the authors made a number of subjective or inaccurate determinations when compiling their findings." Of course, this wouldn't be a case of Airbnb employing discriminatory policies, or encouraging discrimination—at worst, they're just facilitating it as a middleman. But it's a reminder that the "sharing economy" isn't a fist-bump feel-good utopia, as advertised—we share all our dirty prejudices, too.